Rustler's Rooste in Phoenix, Arizona, is known for some top-notch steaks, a country-themed vibe, and a fun indoor slide. It makes for a great dining experience on just that alone, but there's one other thing they feature that you shouldn't forget about: the deep-fried rattlesnake. The critter is a common eat in the region, but Rustler's is one of the most famous places to serve it up. Their specialty's reputation is partially because of the quality and flavor of their fried rattlesnake bites, but also can be attributed to the fact that it comes with a side of fried snake vertebrae. That's how you know they're breaking down the snakes in house. 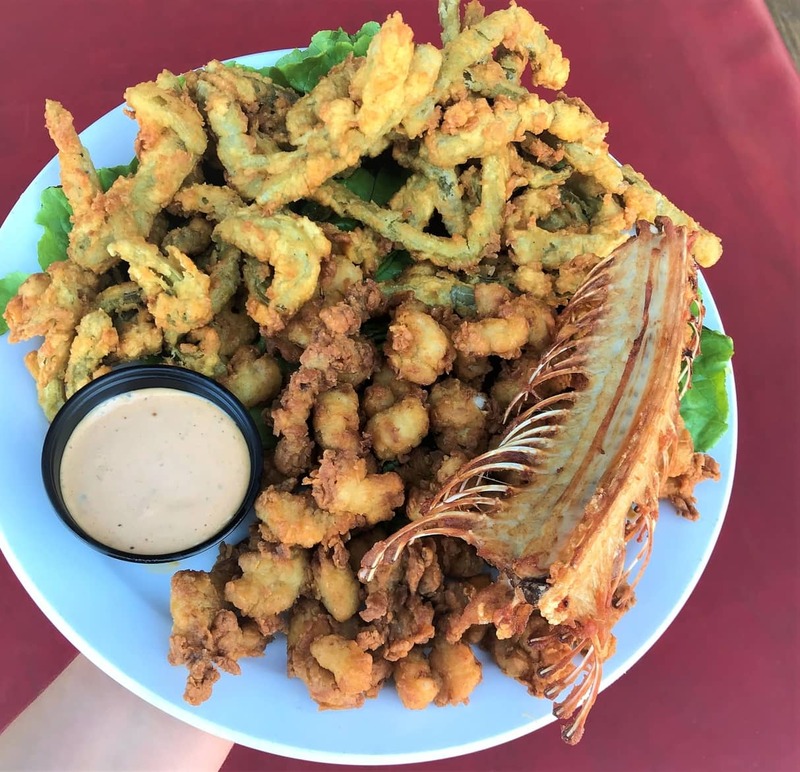 Ordering Rustler's Rooste's fried rattlesnake means you'll get a hefty portion alongside prickly pear cactus fries and a side of chipotle ranch for dipping. Foodbeasts Evan Lancaster and Analiese Trimber went to try the item, and were astonished at the texture and flavor of the rattlesnake. "I was surprised it didn't taste more gamey," Lancaster commented, noting that they "kind of tasted like pieces of popcorn chicken." Trimber agreed with that description, saying that they were "super crispy and tender." Rattlesnake may not seem like the most appealing meat option, especially when served with its skeleton on the side, but if you're looking to dive in Fear Factor-style and try it for yourself, you can rest assured knowing that Rustler's is THE locals' spot to get it. Rattlesnake photo in video thumbnails courtesy of Gary M. Stolz of the US Fish and Wildlife Service.